Divorce and Family Law is not one thing we do, it’s the only thing we do. Often it’s too late to strategize once a divorce has been filed. Our firm offers Pre-Divorce planning for individuals who are contemplating filing for divorce. Our goal is to approach your case with dedication, creativity, and common sense to get you the results you deserve. We believe that our ability to effectively counsel, inform, and empower clients is our most valuable service. Often it’s too late to strategize once a divorce has been filed. Our firm offers Pre-Divorce planning for individuals who are contemplating filing for divorce near Salem, MA. Divorce is the legal process you follow to end your marriage. 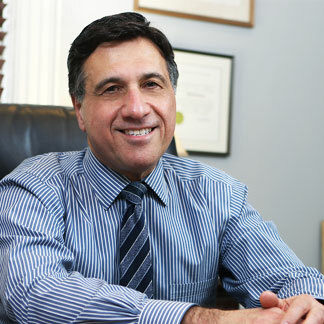 Taranto Law Firm specializes in Massachusetts Divorce law. Find out about the types of child custody and parenting time orders, who can file for child custody, and how to file or change child custody orders. Complaint for Modification is the action by which you can request that the Court make a change to the past Court Judgments. A Complaint for Modification is the beginning of a new action and should only be used to change permanent orders which are called Judgments. Simply, the best! I hired Tom to handle my divorce case from the start. I knew I would be leaving for Afghanistan and did not pursue custody at that time, however, it became clear that was the road we were going to have to go down. Even from Afghanistan, Tom communicated clearly with me, helped me understand each and every step of the process. I worked closely with Tom for over three years. He was patient and understanding, even when my patience and understanding were at an end. His honesty, hard work, knowledge of the law and his keen courtroom skills enabled me to have full custody of my children. My family and I will be forever thankful. -P.A. Sharp and knowledgeable attorney that delivers positive results for his clients. Thomas represented me in my divorce settlement and was very impressive in his knowledge of the Mass divorce laws, negotiation and strategic skills. Thomas was nothing short of a true professional. He handled extreme adversity. He ran into my case calmly and professionally. He was responsive to my questions, gave sound advice, was very fair with legal fees and helped me come to a successful outcome. He shows compassion, dedication and is completely ethical in his work. I would highly recommend Thomas Taranto as an attorney. -C.O. Great lawyer! Extremely smart, cares so much about clients. I wasted $15k on other lawyers before I worked with Tom. He is a great advocate! -C.J. Thank you for your referrals. They are making a big difference in our practice. Attorney Taranto is an experienced family law attorney and negotiator who counsels clients in complex high asset divorce cases, often highly contentious. 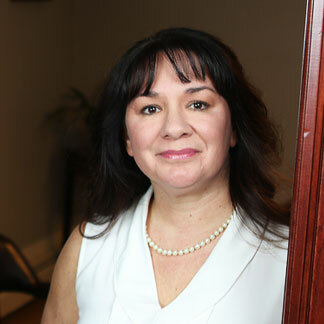 Maria Tilkens has been a professional in the paralegal field since 2013. Maria is currently employed by the Law Office of Thomas J. Taranto.